Is It Crazy for Nuts to Be So Literal? The day after Thanksgiving, I sat my uncomfortably overstuffed fanny in one of my parents’ equally overstuffed armchairs fully intending to zone out to whatever football game I could find. That’s when I noticed a can my grandmother had left on a nearby table. The label got me to thinking–a dangerous pastime, especially when one has a stomach full of dressing and yams. Maybe it’s because I don’t often eat cashews or because the starkness of the generic label made it more apparent, but I never noticed the clever use of the verbiage “and pieces” before. However, a quick consultation of The Google confirmed that most brands do in fact use this phraseology. Halves + Ampersand + Pieces = Manufacturer is legally absolved of quality control and painstaking shipping practices. After all, the packaging makes no bones about the fact that some of your nuts will arrive in less than pristine condition. If other manufacturers were this truthful about their products, bags of chips would have “& air” at the end. Shampoo manufacturers would finally have to admit what’s in their overpriced bottles is as much “& water” as it is soap. So maybe it isn’t a cop out. There is something noble about the proclamation “& pieces.” No one is perfect after all, so why should we expect that of nuts? Cashews somehow seem more humble and unassuming for their willingness to admit their weaknesses, their penchant for falling short at times. I can’t imagine Brazil nuts or almonds being so high-minded. Hazelnuts are all too busy trying to be magically transformed into Nutella to worry about ethics, and pecans can’t even decide how they want their name to be pronounced. (Seriously, is it Pee-cans or Pe-cahns?) Macadamia nuts, nature’s ultimate guilty pleasure, are so fatty and delicious they don’t feel a need to justify themselves to anyone. They’re like the Lady Gaga of Nutworld. Like I said, a full belly coupled with an overactive imagination can be a dangerous thing. 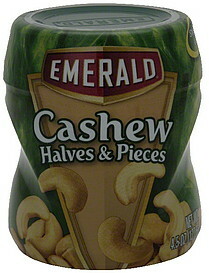 But I’ve come to the conclusion that, despite the fact they fall to pieces, there’s no reason to eschew the cashew. What do you think? Is it nuts….or am I for asking!? Have you noticed any weird or random labels on products lately that made you wonder about the world’s sanity? Link up and discuss below in the comments! Wait… Am I allowed to call you that now? It’s been Mrs. Hughes for such a long time that I almost feel disrespectful calling you by your first name. Anyways! 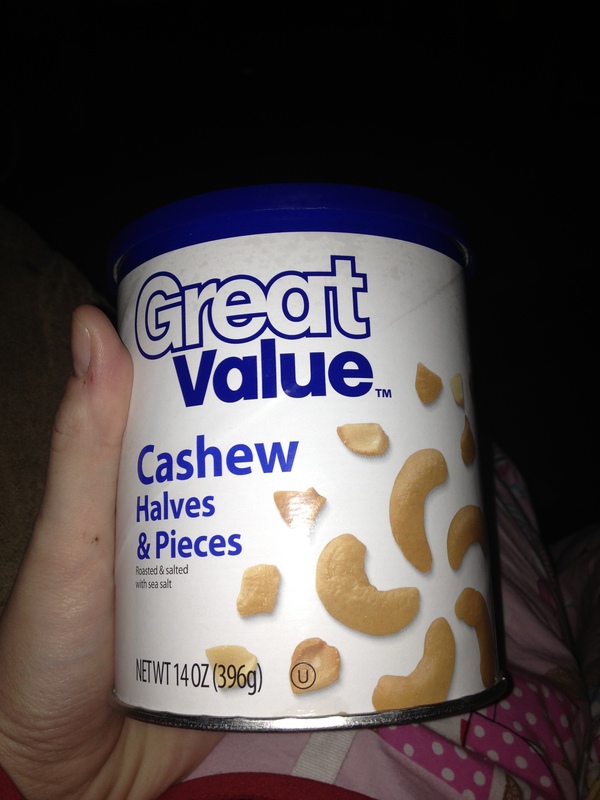 It is a very interesting (odd, but yes, interesting) observation you made about the “Halves and pieces” labels on cans of cashews, etc.. It’s almost like it’s necessary because of the sensitive and politically correct state of the world these days. I could just see some redneck or nit-picking old lady opening their can of cashews and just absolutely getting fired up over the fact that some of them are broken into pieces, and then not being able to deduce why some of them are DOA. You’re a very intelligent person and I like reading your blurbs! Grant, it’s time to loose your last-name-only shackles. Jamie I am, and so shall I be to you until the end of time (which may not be that long if the Mayans have anything to say about it.) You’re quite the bright fellow yourself; have you considered starting a blog to showcase that?